When I first arrived I was mostly taken aback by how light and airy the place was. 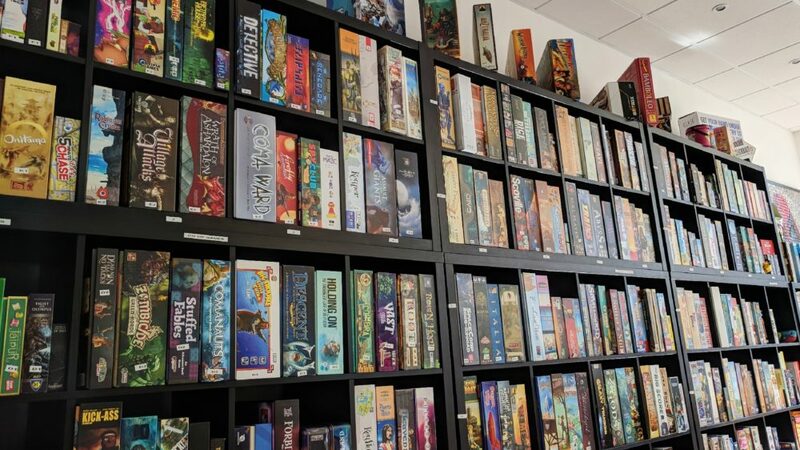 Most places I’ve played board games are either my friend’s houses or really dark grungy back-rooms of nerdy merch shops. Nothing quite prepared me for the pristine look – it was the perfect lighting for seeing the games. 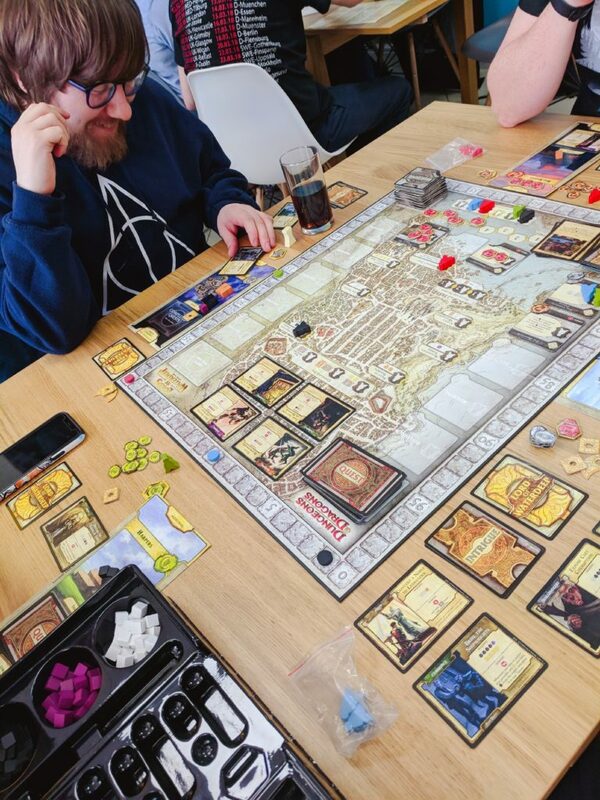 The staff there were so lovely – they quickly helped me, my nerdy blogger friend Natalee and our OH’s, Shane and Dane (yes, they rhyme) set up the game so we could get down to the good bit of actually playing it, and even taught us all how to play Lords of Waterdeep from scratch and took us through a round so we could play! Top marks for being friendly, approachable and informative! 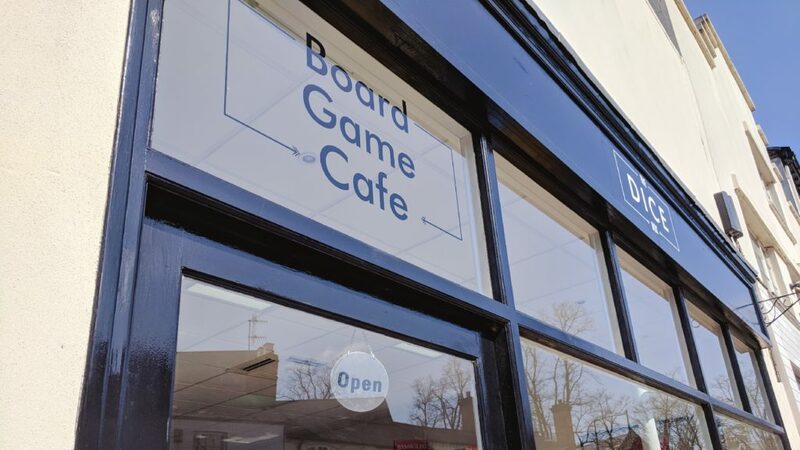 As the place is new, all the board games are fairly new (at the moment) which means there’s no missing piece problems and it’s all laid out wonderfully so you can find the games easily… there are 400 games and counting, all categorised ranging in difficulty from strategy to casual/party games to kids games. They even have a D&D night too which I am going to be sure to go to next time! 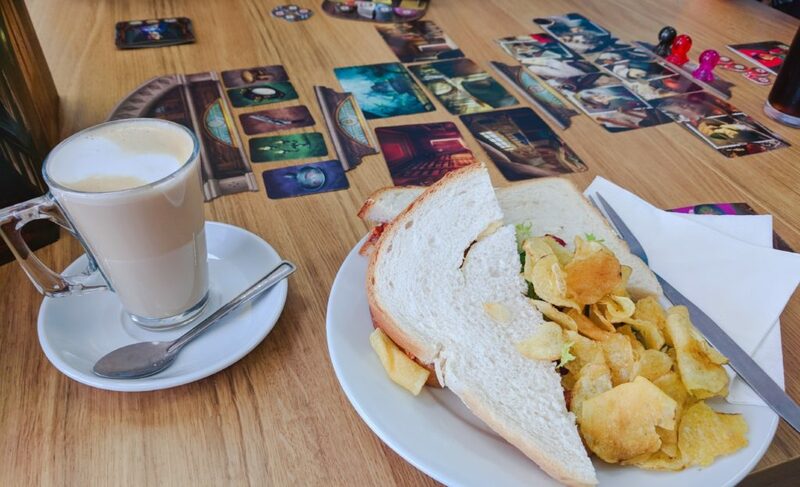 As you guys probably know, D&D is the second love of my life… Right after food (Sorry, Shane) – and The Dice Box Cafe does amazing food too! I had a pulled pork sandwich and a Chai latte and it was amazing. 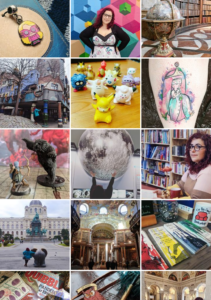 I love how you had to write about this place after we visited it! I can’t say as I blame you because Dice Box was AMAZING!